Despite popular belief, millions of children would spend the first half of their school days hungry if not for the Black Panther Party. The U.S. government tried its hand at federally-funded breakfast with its 1966 pilot program. However, the initiative didn’t fully become the national School Breakfast Program it is today until 1975. That’s six years after Huey P. Newton and his Panthers cooked and served free grits and pancakes to inner-city youth across the country in their Free Breakfast For Children Program – which FBI head J. Edgar Hoover deemed threatening to national security. This Panther ideology of self-empowerment has long inspired Hannibal Pace. So much so, that Pace consequently named his clothing brand, Free Breakfast Apparel, after the Panthers’ efforts. “Let’s do for ourselves like the Panthers did for themselves in the 1960s,” Pace says. He’s referring to other revolutionary Panther survival programs such as free screenings for sickle cell anemia, a blood disease that disproportionately plagues the Black community. Fred Hampton, the Panther’s Illinois chapter leader, spearheaded many of these initiatives locally before the Chicago Police Department and Federal Bureau of Investigation gunned him down in 1969. Pace left his corporate job processing mortgages at JPMorgan Chase nearly three years ago. While on the hunt for employment, the University of Illinois-Chicago alum came across a YouTube video about marrying passion and purpose into one common goal. He immediately thought to create a culturally conscious fashion line. 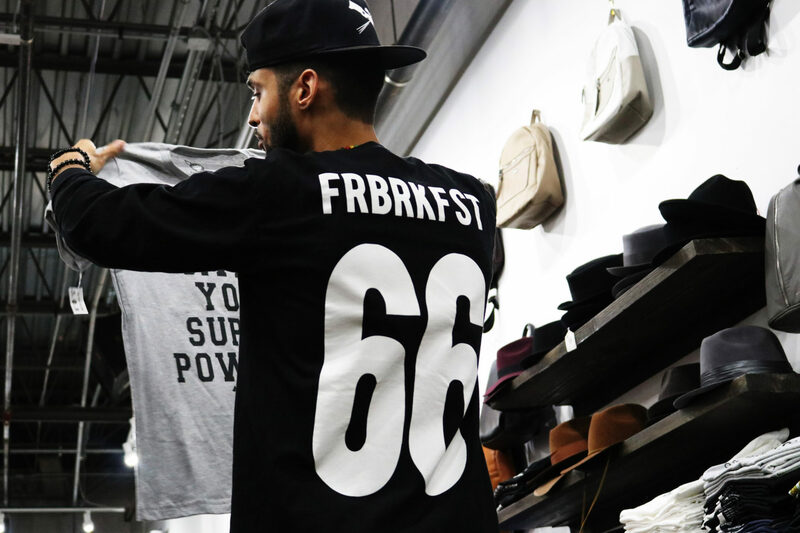 Through his online store, freebreakfastapparel.com, Pace sells T-shirts, hoodies and hats with iconic symbols and images specific to periods of Black history that is often left out of the mainstream narrative. In his “The Empowerment Collection,” Pace dedicates his apparel to building Black pride. These shirts and sweaters are emblazoned with the phrases, “Melanin Gives You Superpowers,” “Legalize Blackness” and “Fight Like Korryn.” The latter design is in memory of the Baltimore mother fatally shot by police in front of his 5-year-old son in 2016. Another assortment, “The Community Outreach Collection,” is dedicated to raising money for various community organizers. Pace’s clothes range in price from $15 to $35. Free Breakfast Apparel also is available at the Chicago boutique, The Silver Room. Pace says he chose The Silver Room to host his brand because it’s black owned and located in Hyde Park, a flourishing Black neighborhood.